Rock n Roll Ice Cream is excited to introduce Shakes, Smoothies & Fresh Juices. Pop in today! 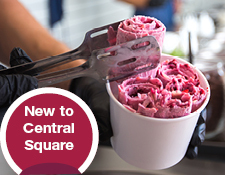 NEW to Central Square ROCK 'N' ROLL Icecream offers freshly handmade ice cream for only $7.99. This new ice cream parlour offers fresh & handcrafted ice cream rolls made in front of your eyes. 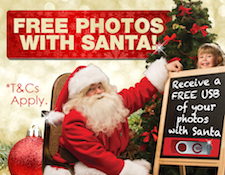 * Customers can receive a free USB of their photos with Santa when they provide an email address to join Central Square newsletter list that they can unsubscribe from at any time. Offer valid from 10th December to 24th December 2017. One USB per family/photo. Free USB stick while stock lasts, after this feel free to take your own family pictures. Looking for car remote key duplication service? 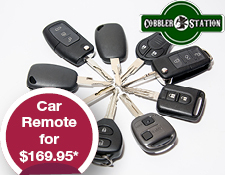 Head to Cobbler Station @ Central Square Shopping Centre and get your car key duplicated with Remote Lock/Unlock features for only $169.95* when you mention this ad.